The good news is, Cydia Substrate has been updated for iOS 9. The bad news is, your favorite tweak might not have been yet. 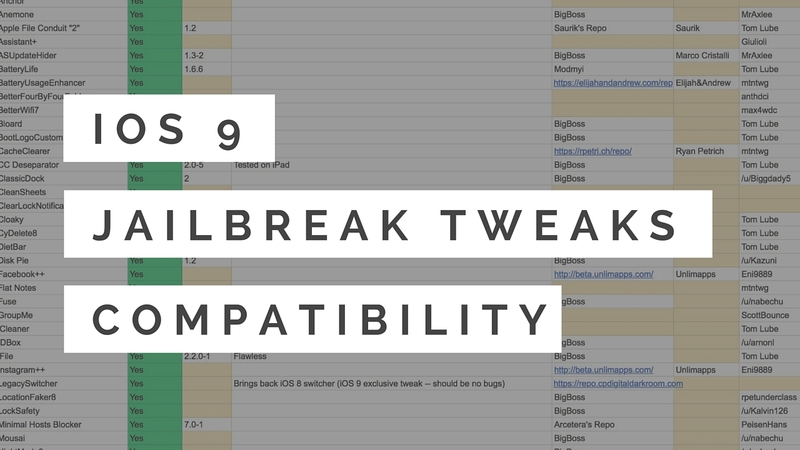 Fortunately, the community has once again come together and is working on an iOS 9 jailbreak tweaks compatibility list to help identify what tweaks are currently working and what tweaks aren’t. The full list is available as a Google Doc here. Wow. It's pretty fast increasing list. I have tested LocaliApStore on my 5s running ios 9.0.2 and it's working perfectly. "Not related but, is CyCake repo related to appkcake?"